In the States we call it a vacation. Overseas, it is called a holiday. No matter what you call it, the idea is the same. 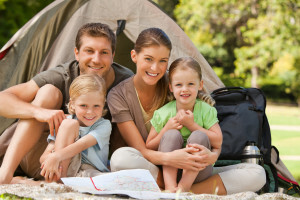 You and your family leave your house and all your cares behind and spend uninterrupted time together. Where you decide to go makes little difference. They length of time that you stay away does not much matter either. What does matter is that you have you have some time to really focus on your family. The benefits to this uninterrupted time can be invaluable. *** What is going on with your child’s friends…ie. what kind of kids are their friends? It is the quiet, un-stressful, un-scheduled time together that provides the magic. After a few days, the conversation starts flowing. Stories from the year are revealed. Issues come up. Worries are admitted. Desires and dreams are uncovered. Who knows? A problem or two maybe solved. Before the end of your trip, family bonding has occurred. As summer rolls around the corner, make it a point to be present in your vacation and relaxed enough to take it all in. The real trick is to try to find a way to create “vacation time” at home from time to time. Do you have experience with the phenomena of secrets revealed during family vacation? Share your experience with us.